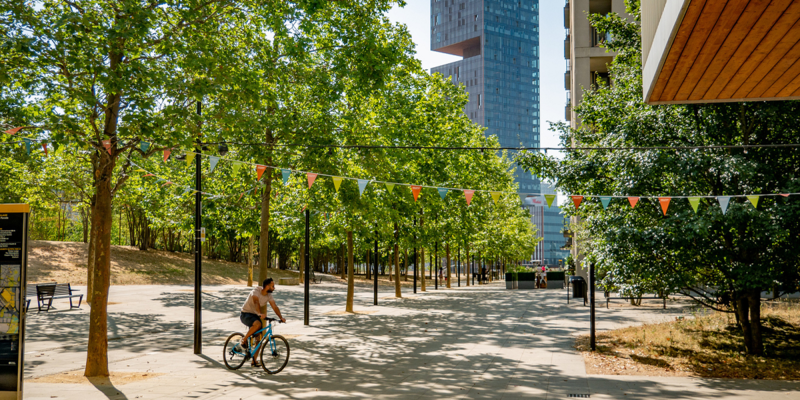 Founded in 1992, GreenBlue Urban was set up to research and provide solutions for assisting trees in their battle to establish in urban spaces. Onsite manufacturing using 100% recycled materials allows global distribution, and continuous product development ensures that specifiers and clients alike are using the best tree pit package products available in the world. The GreenBlue Urban Arborsystem brings together the key elements of successful tree pit design and simplifies the planning and installation process. Landscape professionals can combine SuDS, root management, structural soil components, aeration and irrigation, and choose an appropriate above-ground surface grille and vertical guard in a single package.